SCPL Teen Read Week Bookmark Winner! 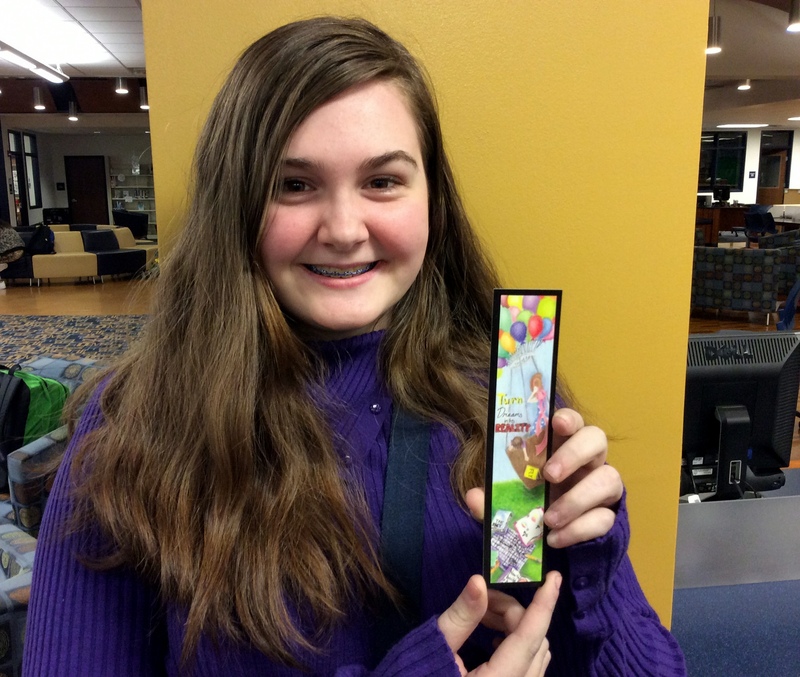 Congratulations to Erin for winning the Spartanburg County Public Library Teen Read Week Design a Bookmark Contest! Her bookmark design is printed, and SCPL sent us 100 bookmarks. Come by and get one before they are all gone. Let’s take home the Teen Read prize again next year. Be on the look out in the beginning of September for information about how YOU can enter the SCPL Teen Read Week Bookmark Contest.